Sample rules and configurations for playing Basketball Squares Online. 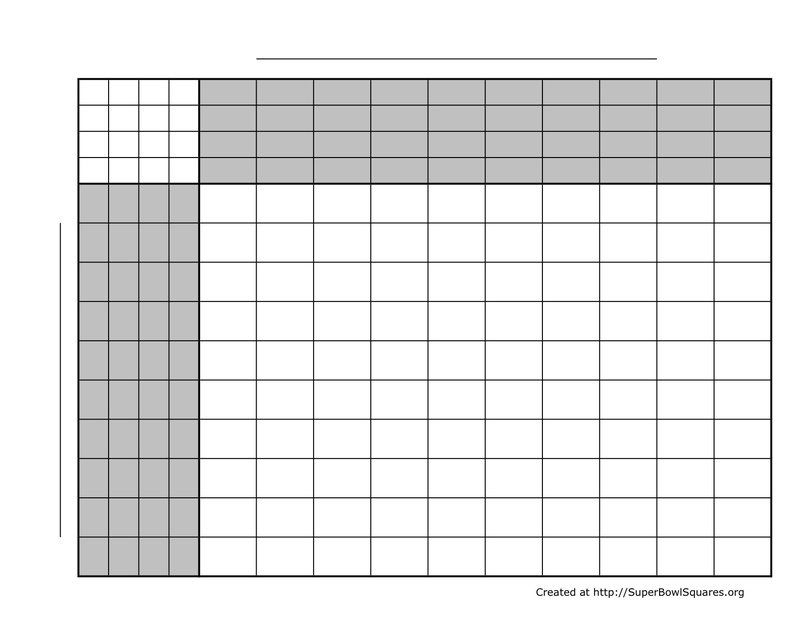 Start off with an empty 10 by 10 grid. This will give you 100 Squares for people to choose from. 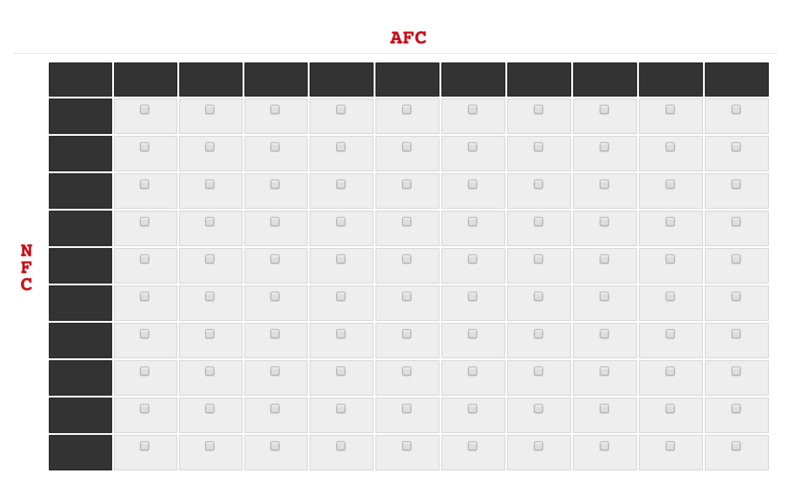 Depending on which game you are playing with, simply assign one team to the columns, and one to the rows. Now, start recruiting people to join your Basketball Squares pool by letting them choose which squares they want. If you use our site to Play Basketball Squares Online, this will be a much easier process since you can simply email everyone the link to your site and let them choose their squares. If you decide to use a Spreadsheet or Printable Sheet, then this proces may take you some time and effort since you have to manually pass along the file or sheet. 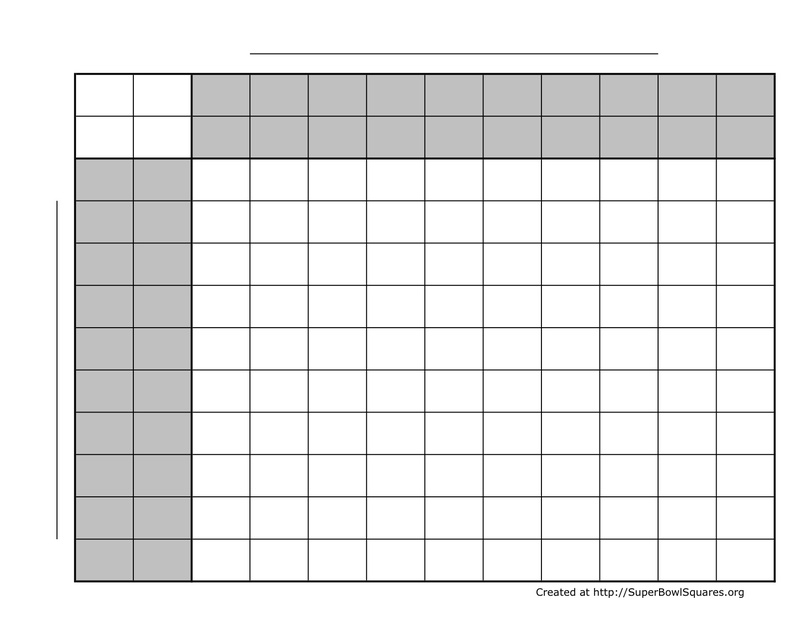 Once all the squares have been filled, it is time to assign the numbers to each column and row. By playing online, this is as simple as a click of the button. For those using offline options, randomly assign numbers 0 through 9 to each column, followed by doing the same for each row. Now each square represents a specific score in the game based on the column and row numbers. Your Basketball Squares grid is now complete, and you just need to wait til the game is played to determine who will be your winners. A winner will be determined at the end of either the 1st quarter, 2nd quarter, 3rd quarter, and/or Final Game score, depending on how many winners you want to have (Note, in men's college basketball there is only a 1st half and 2nd half... no quarters). The winner is determined by looking at the last number in each teams' score, and then matching those numbers on the grid and seeing which square intersects those two numbers. 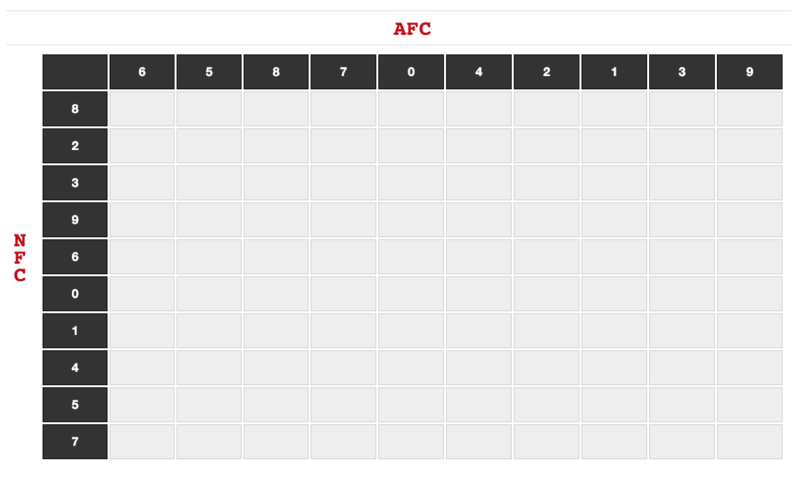 An example would be if the score at halftime was AFC 23, and NFC 14, then the last number for team AFC is 3, and the last number for team NFC is 4. 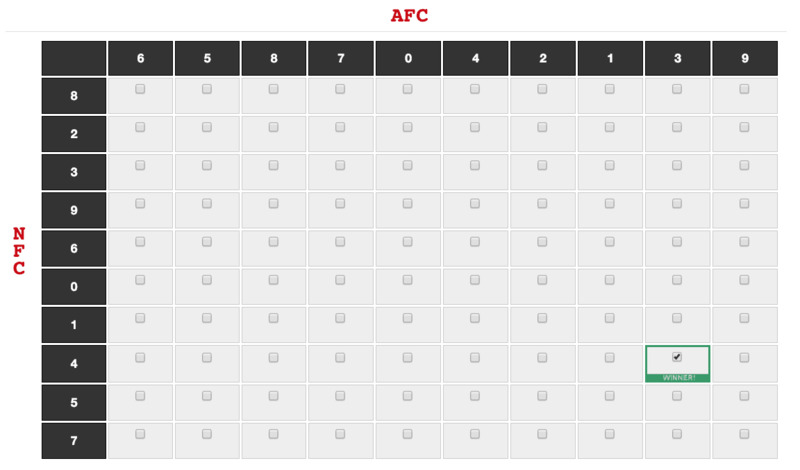 The square on the grid that has the AFC with a number of 3, and NFC with a score of 4, would be the winner. Payouts for the winners vary depending on your setup, but usually the 1st through 3rd quarter get about 20% of the pot each, and the final score would get the remaining 40%. If you are using this for March Madness, most do 50%/50% for each halftime score.